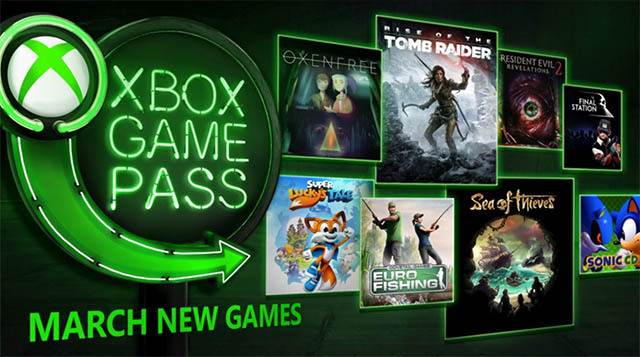 The pirate game is coming to the Xbox Game Pass on March 20. That date happens to be Sea of Thieves’ global release, which means you’ll get to play the game for free the very day it gets released to the world. The game doesn’t have any set roles, so you can approach the story and the people whichever way you want to. It’s all up to you and you get to decide where the story goes. The game will reportedly evolve over time with regular DLC packs, so you’ll not ever be bored of the game if you choose to purchase the game after playing it for free. 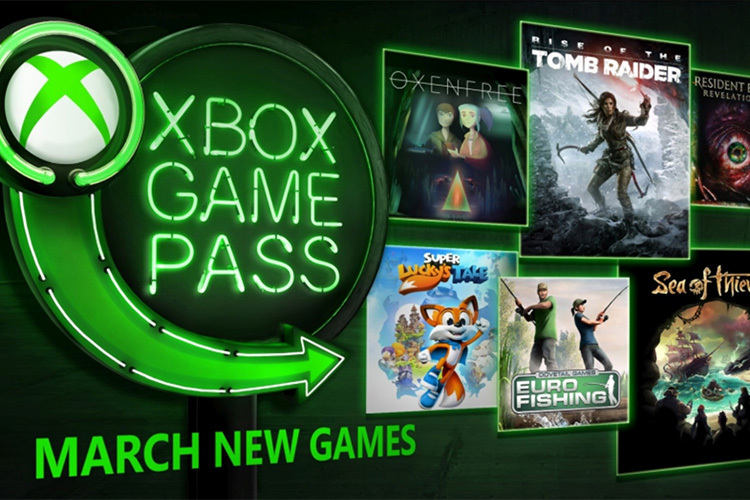 Rise of the Tomb Raider is the sequel to the 2013 game, Tomb Raider, and it’s coming to Xbox Game Pass this very month! If you’ve never played a Tomb Raider game before, you should know that as beautiful as the environments in the game look, they’re very dangerous. There’ll be a lot of fast-paced action moments that’ll leave your adrenaline pumping. The game is enhanced for the Xbox One X now, so if you’re using Microsoft’s most powerful console, you can enjoy Rise of the Tomb Raider in full native 4K beauty with HDR and all the fancy graphical qualities. Super Lucky’s Tale is already available on Xbox Game Pass, so get it right now and transport yourself to an era of challenging platformer games that are perfect for players of every skill level and every age group. You’ll play as Lucky, an energetic, loving hero who wants to find out his inner strength and help his sister rescue the Book of Ages. A survival-horror thriller game following the stories of Claire Redfield and Barry Burton. The complete season of the game will give you access to all the four episodes of the game, along with side stories and a full hunk costume for using in the Raid Mode. A supernatural thriller game that follows the story of Alex, a rebellious teenager, Oxenfree sees Alex and her cousin brother open a ghost rift created due to the island’s mysterious past. Alex’s entire story is in your hands, you get to choose the path the story takes in this game that I’ve played on mobile and really liked. The classic Sonic game is coming to the Xbox One! In Sonic CD, Sonic travels to the shores of ‘Never Lake’ for the appearance of ‘Little Planet’ — a place where future, present, and past collide. Dr. Eggman, the main antagonist, is there as well, hoping to steal the ‘Time Stones’ so he can control time itself. Sonic will now have to travel through time and destroy Dr. Eggman’s machines in the past. The Final Station is set in a post-apocalyptic world where the infected are everywhere. However, you have a train at your disposal now, and you can choose to go wherever you want, as long as you keep it fuelled up and in running condition. On the way, you’ll have to pick up stragglers and scavenge for resources, with the infected ready to hinder your progress at every turn. Euro Fishing, as the name clearly suggests, is a game about fishing. A perfect fit for nature lovers who’re unable to go out in the wintery weather, Euro Fishing will have you fishing in beautiful locations across the world.